There are so many great counter service restaurants at Walt Disney World. 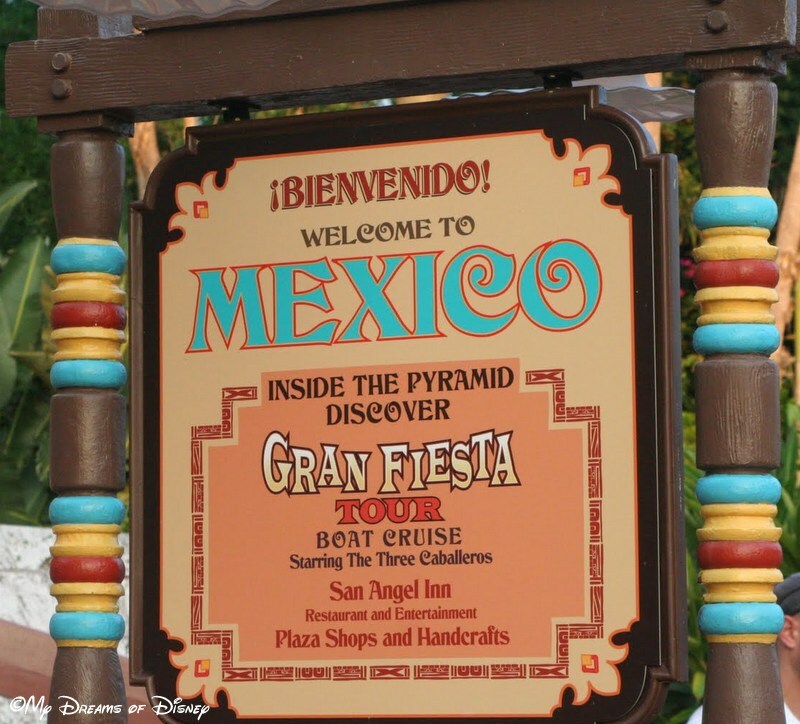 Disney’s Animal Kingdom, Magic Kingdom, Disney’s Hollywood Studios, and Epcot all have a plethora of great restaurants to choose from! As crazy as it sounds, I’m going to pick my top ten quick service restaurants at Walt Disney World. As with every top 10 list I’ve ever created, my list varies from day to day, so let’s see what we get and how long it lasts! Here goes nothing! Flame Tree Barbeque, located over at Disney’s Animal Kingdom, is one of the best quick service restaurants in all of Disney in my opinion. This restaurant serves up a lot of great food at a good price. We don’t eat here every year because some trips we only make one trip over to Animal Kingdom, and often we have a big dinner planned somewhere else that day, so we don’t want to overeat. However, if you ever have the chance, check out the Flame Tree! 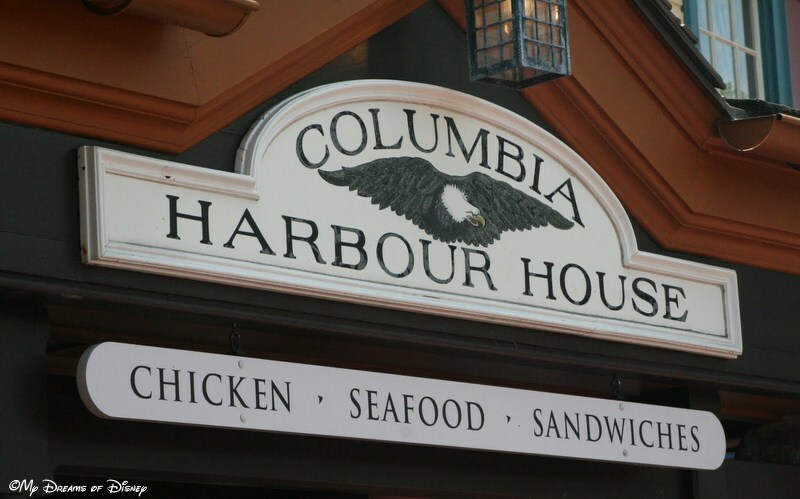 The Columbia Harbour House is a great quick service restaurant for many reasons. 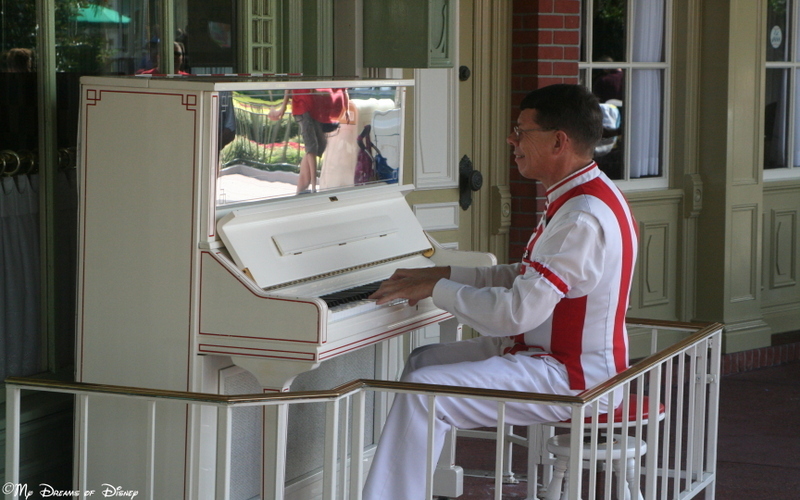 For starters, it is rarely busy because it is kind of forgotten over between Liberty Square and Fantasyland. In addition, as the picture shows, they offer Chicken, Seafood, and Sandwiches, so there is a large variety of food to choose from. Lastly, there is plenty of seating available, so you can spread out, relax, and even look down at the people walking below. Try the Fish and Chips, they are good! 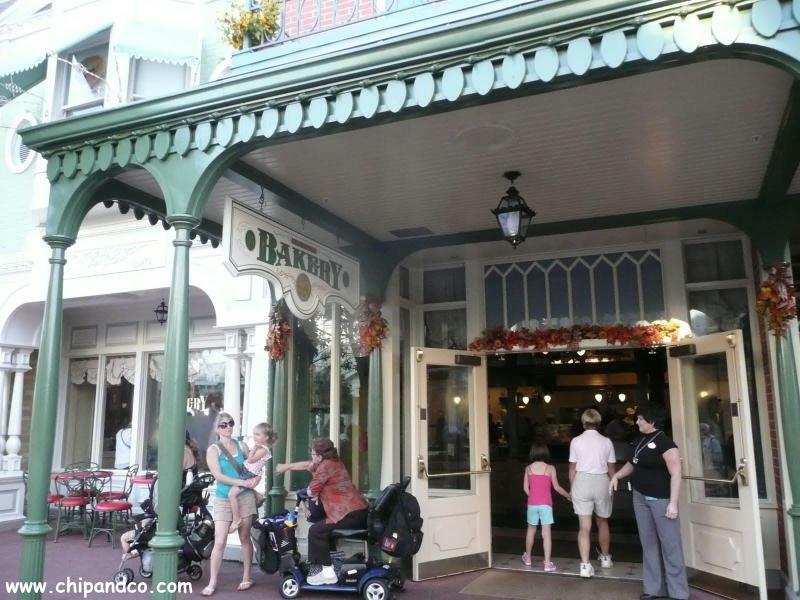 Casey’s Corner is a good hot dog shop located at the corner of Main Street USA and the Hub. Because of the location, the restaurant is often quite busy, and seating is almost non-existant. More often then not, you will find yourself eating while sitting on the ground, or being lucky enough to get one of the bar tables where you can stand and eat. Despite all of that, though, the food is quite good, and as you can see from the picture above, there is entertainment there periodically throughout the day, so relax and enjoy your food and the music! 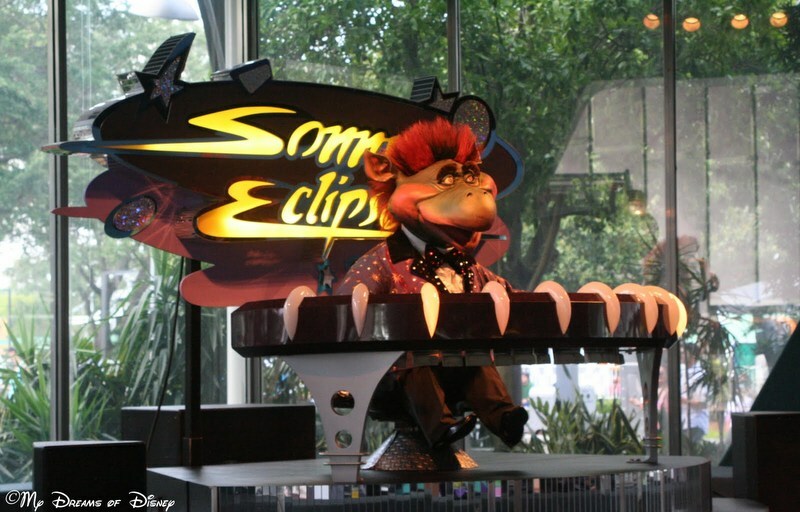 Cosmic Ray’s Starlight Cafe is a large quick service restaurant located in Tomorrowland. They have three different bays available; one for burgers, one for chicken, and one for sandwiches. At each of the bays you can also get the standard Disney kids meals. The selection at the restaurant is enough that there is something for everyone, and there is a lot of seating, both indoor and outdoor, so this is one place that should be on everyone’s list. As an aside, Cosmic Ray’s is also a great place to bring your child if they are afraid of the fireworks — you will be inside, and the rest of your party can enjoy seeing them outside. The Backlot Express quick service restaurant is located near the “Honey I Shrunk the Kids” playground — so it is a good choice to both get a bite to eat and let your kids run off some energy afterwards! For an open air type feel, it serves good food in my opinion, and is an easy way to recharge yourself for the afternoon ahead at Disney’s Hollywood Studios. 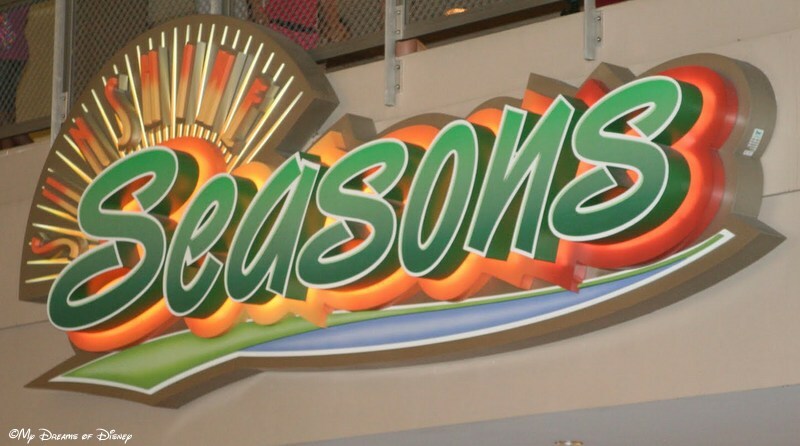 My number one quick service dining location is Sunshine Seasons. This restaurant is really good because it combines incredible food — with hot and cold options available — with a prime location inside of the Land Pavilion — so you can get in out of the heat, and a convenient location to wait while others in your party enjoy other attractions. As I said, you can enjoy everything from hot and cold dishes, sandwiches, and other things, all the way to sushi if you so desire. The food is incredibly fresh, and you will enjoy it, no matter what you try. 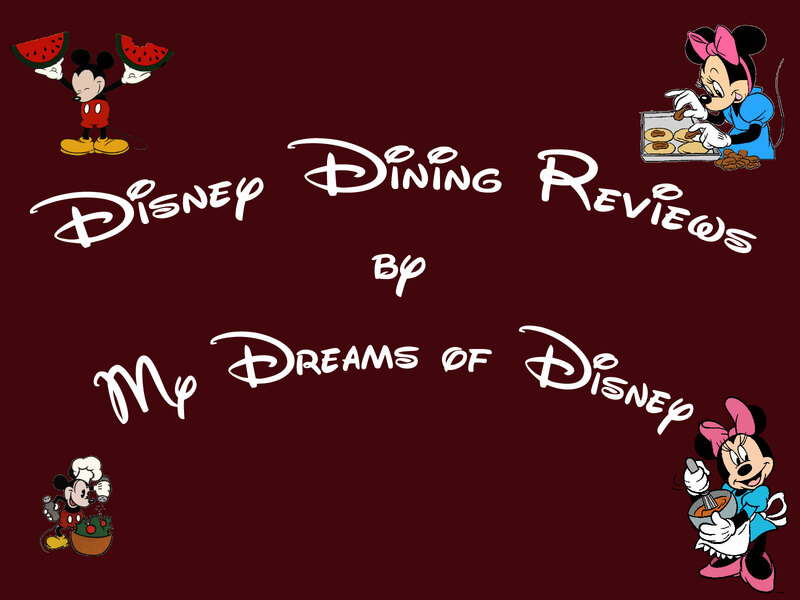 That, my friends, is my list of my top ten quick service restaurants to eat at Disney World. Thank you for reading, and feel free to post any comments, or even your own top ten list! Great list, Mike! Some of these are my favorites too. But you forgot the Wolfgang Puck Express at Downtown Disney! That’s one of our absolute fave Quick Service places! Thanks, Christina, but you know what? I’ve never eaten there. Every time we were going to go there, it was so busy! Oh, how much you’ve missed! We went there twice on our last visit, making a special trip to Downtown Disney just to go there. (AND you get to eat off real plates with real silverware!!) I asked for a recommendation, they recommended meatloaf. I had that, even though it is not one of my faves, or my hubby’s. Hubby liked it SO much that we had to come back later in the week so he could have his own! Everything we had there was very good. Great list Mike! I have to agree on Columbia House!